The ESV Big Picture Bible is designed for children ages 5–8 who are transitioning from a storybook Bible to a full-text Bible. In addition to over 90 beautiful, child-friendly illustrations adapted from the bestselling Big Picture Story Bible, 225 brand-new illustrations created specifically for this edition are included and interspersed throughout the full Bible text. 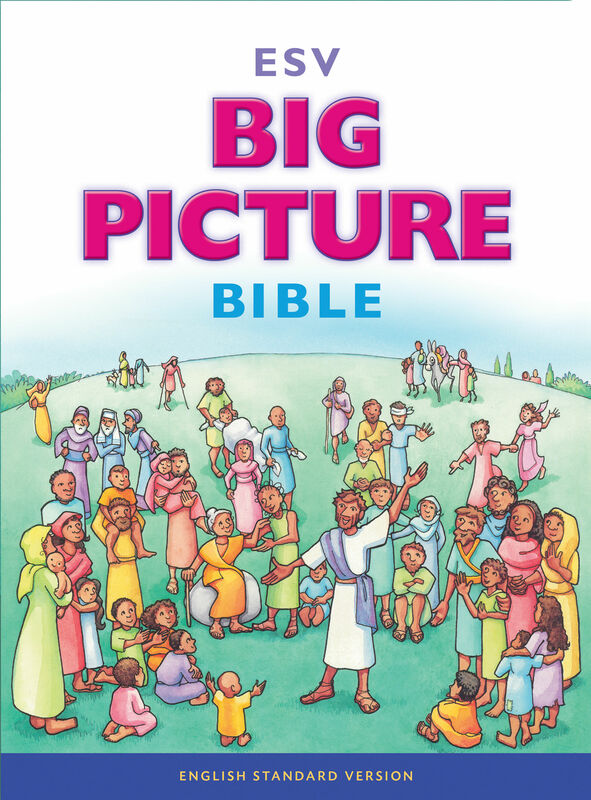 Parents and children will enjoy reading the Big Picture Bible together as the colorful pictures illustrate the beloved stories of the Bible.